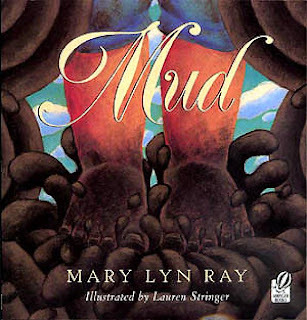 Summary: This is an ode to muddy hands and feet, brown warm earth, and sprouting grass. The simple text and energetic illustrations will make children and grown-upa alike want to sink their feet into gooey, gloppy, mucky, magnificent mud. 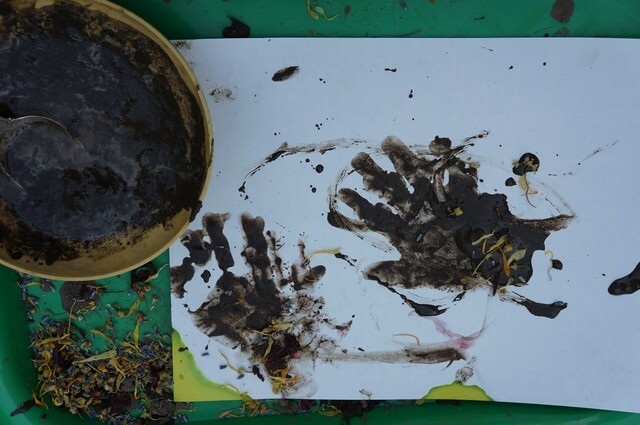 Fill a dishpan with dirt (high clay content works best, but any "clean" soil will do). Fill another dishpan with water. Provide several large, washable trays and several plastic scoops for the soil and the water. 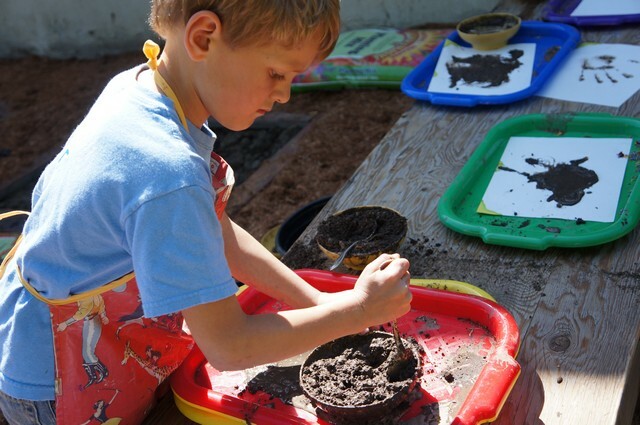 Children put on smocks and scoop soil and water onto their trays. Let child enjoy experimenting with this new "mud finger paint" they create by mixing soil and water together.